Most people don’t realize that rent to own stores can offer the best used home furniture deals in town. When shopping used furniture, electronics, appliances and more, most people think of garage sales, craigslist and newspaper ads. What consumers do not realize is local rent to own stores offer some of the best used deals. According to the rent to own trade association, more than 70% of rent to own customers return the new product within 4 months. Then new customers typically want new products to begin renting overloading their showroom with used products needing to be re-rented or sold. Many times rent to own stores can be overstocked with used home furniture, refrigerators and HDTVs giving the rent to own stores the incentive to sell them at bargain prices. 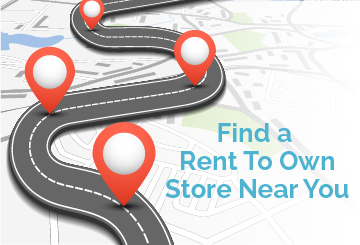 As such, Shop RTO offers these tips to obtain the best used products at rent to own stores for the best price. Identify your local rent to own stores and call each asking if they have the used home furnishing you want. You may have to be patient as each of the store’s inventory is constantly changing. Each rent to own store or company have different policies on negotiating cash sales on used products so be upfront on your objective from the start. If the store is only interested in re-renting used products then you are wasting time. Work directly with the manager or owner. It is in their best interest to keep the showroom full of new products thus needing to remove the previously rented items. Many times, store employees are not authorized to negotiate a cash deal on the used products. Do your homework about the cost of the product both new and used. Ask how long the product been rented prior to returning. And ask why the product was returned and if any repairs needed to be done. Items on the rent to own showroom floor have to be ready to own so you shouldn’t have any worries regarding its use and for furniture they will have re-touched any damages and have cleaned it recently. Many times that furniture or washer and dryer was meant to be used for a short time. That is why rent to own stores can be the best for used deals as craigslist and garage sales tend to have items that have been used for years. Negotiate a cash deal. If the store manager or owner can still make a profit while giving you a great deal, it’s a mutual beneficial deal. Remember, most store owners need to get rid of the used merchandise so will bend more than other choices. You can rent to own used home furnishings as well. Those payment plans will either be less number of payments or smaller cost of payments. ShopRTO.com provides consumers home living and decorating tips and rent to own as a shopping option for affordable home furniture and more.